A couple formed by Gemini and Sagittarius have a very low level of compatibility. But before checking the compatibility, learn a bit more about these signs. A couple formed by Gemini and Sagittarius is actually a combination of planetary energies that can be very intriguing. If we take into consideration that Sagittarius is the opposite of Gemini, a relationship between these two signs may be good or not depending solely on the perspective taken by both partners. This mixture of similarities and differences in personality implies that both have to work if they want this relationship to work. 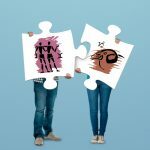 Gemini and Sagittarius compatibility: how will the relationship work? These two signs need to be free to explore their lives while maintaining a relationship. If both Gemini and Sagittarius can do this, then the chances that this relationship will work increase. People born under the sign of Gemini share the same interest as those of Sagittarius in aspects of life, taking into consideration that both signs are very restless and remain almost always in motion, which can be complicated when being attached to a person or place specific for a long time. Both Gemini and Sagittarius like to travel as a couple on vacation and this can provide a perfect meeting point for the interests of both partners. When these two signs are together, their lives tend to become a hurricane, with a significant amount of unexpected twists. In this matter, the relationship can be pleasant, considering that both signs are characterized by changes, continuous movements, surprises and new challenges. Gemini and Sagittarius are characterized by respecting the opinions of others and also by not trying to repress their partners in any way. Both of them expect many changes in their lives since they are intended for this. This continuous movement is absolutely necessary for their mental and emotional health. However, since they both represent variable signs, it can be difficult to make firm and difficult decisions about their future together. Sexually, there is good energy between Gemini and Sagittarius, which could become a great combination. In this sense, we can find a living interaction of emotional, verbal and sensual energy between these two signs.